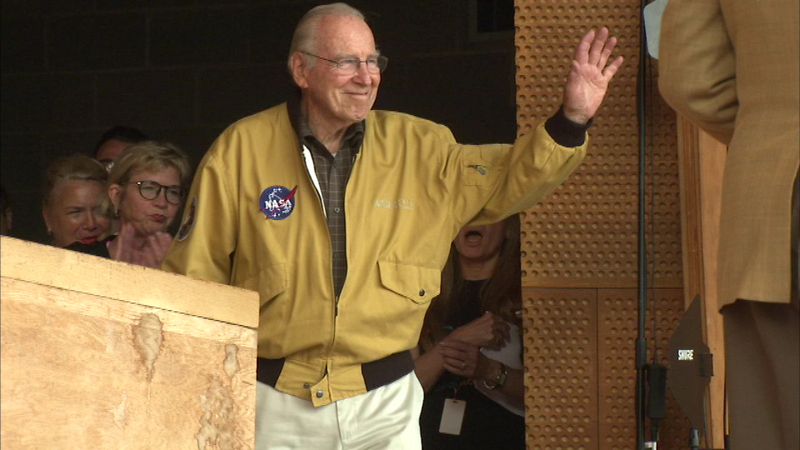 Astronaut James Lovell, commander of NASA's Apollo 13 mission, introduced the film Tuesday night at Millennium Park. CHICAGO (WLS) -- There was a special screening Tuesday night of the movie "Apollo 13" in Chicago's Millennium Park. Astronaut James Lovell, commander of NASA's Apollo 13 mission, introduced the film. The screening marked the 45th anniversary of the historic space trip to the moon.